Note: Helmets and protective eye wear are provided with all packages. Please wear long pants and sturdy, closed toe shoes. 2 hours - This tour includes all of the sites offered in the Town Tour in addition to beautiful Lehigh Gorge State Park. 2 hours - The wine tour includes ​the Town Tour (excluding Flagstaff Overlook) as you make your way to a local award-winning vineyard with breathtaking views from atop the blue mountain. 3 hours - Enjoy the Wine Tasting Tour with a gourmet picnic spread. 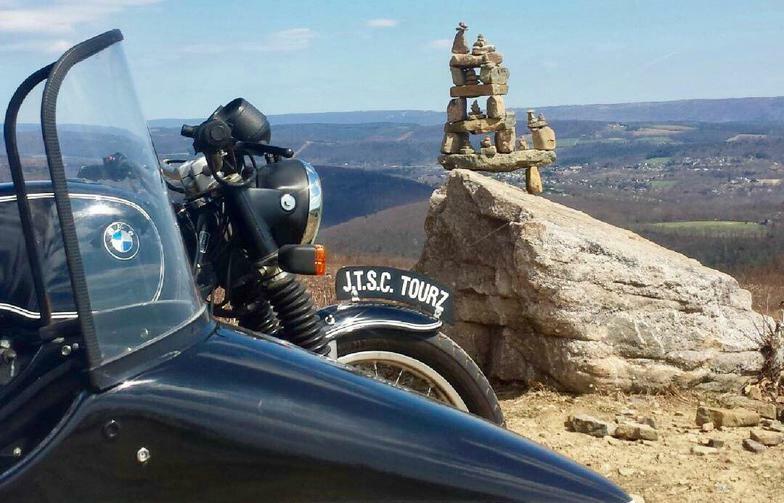 3 hours - The wilderness tour includes a ​history of Mauch Chunk, a visit to the Jim Thorpe Memorial Park, a scenic ride to the summit of Bear Mountain, Flagstaff Overlook and a trip to local waterfalls hidden deep in the mountain laurel, far off the beaten path. 4+ hours - Enjoy the Backwoods Wilderness Tour with the addition of Hickory Run State Park and a gourmet picnic lunch. 2.5 hours - Explore the scenic curves of Broad Mountain and Hickory Run State Park. Enjoy the fresh Pocono Mountain air. 3 hours - Experience the breathtaking 50 foot Bear Creek Waterfalls, Hickory Run State Park and Frances E. Walter Dam. The Poconos don't get more beautiful than this!